Ever found a great JKM library book while doing research from your dorm, office, or home? Wish you could have placed a hold on that item so you could pick it up later? Look for a link to “Place hold” when searching our library catalog via the Books+ tab on our website. When you are prompted to login, enter your Chatham username and password, and then you’ll be able to place a hold for the item. We will pull it from the shelves and hold it for you for 14 days. Please be aware that if someone else finds the item on the shelf before we have a chance to pull it for you, they will be allowed to check it out. 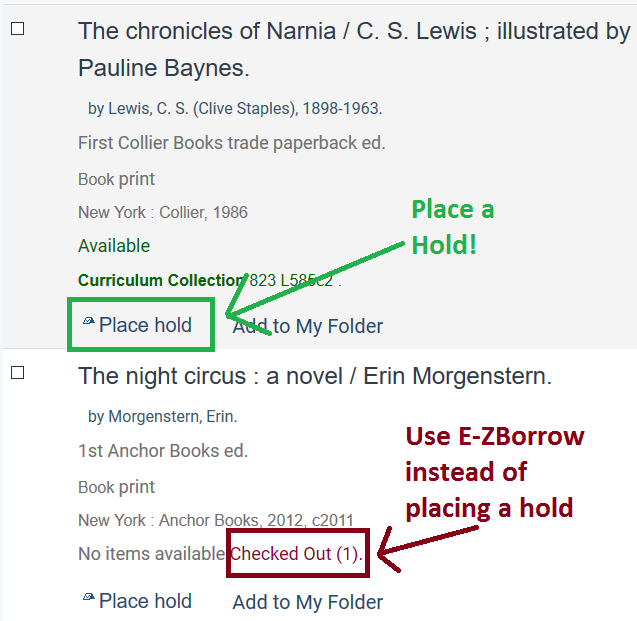 Lastly, for items that are checked out or missing, use E-ZBorrow (for books) or ILLiad (for books not available in E-ZBorrow, as well as DVDs and CDs) to order them from other libraries instead of placing a hold. You’ll get them much faster that way. Any questions? Ask a librarian! 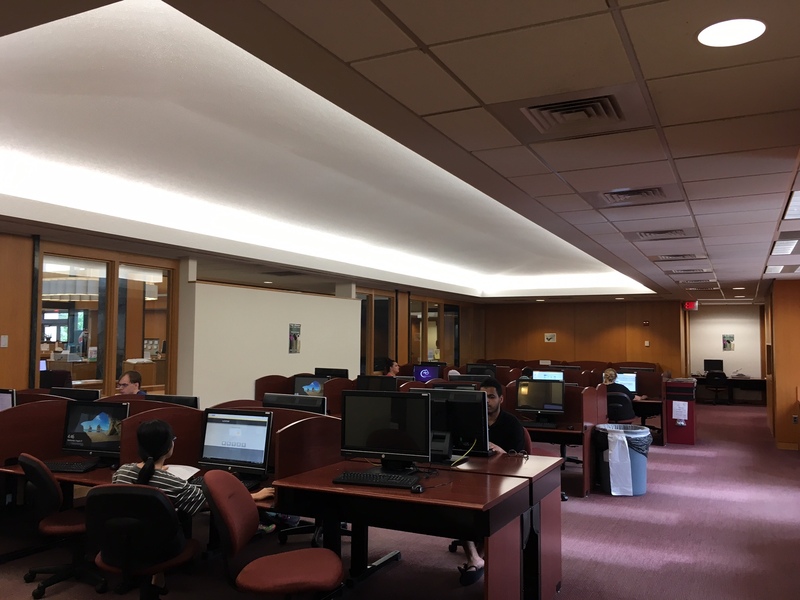 If you need a place to study late at night after the Library closes, or if you need to print out your paper after finishing it at 2:00 AM, check out our 24/7 Lab! 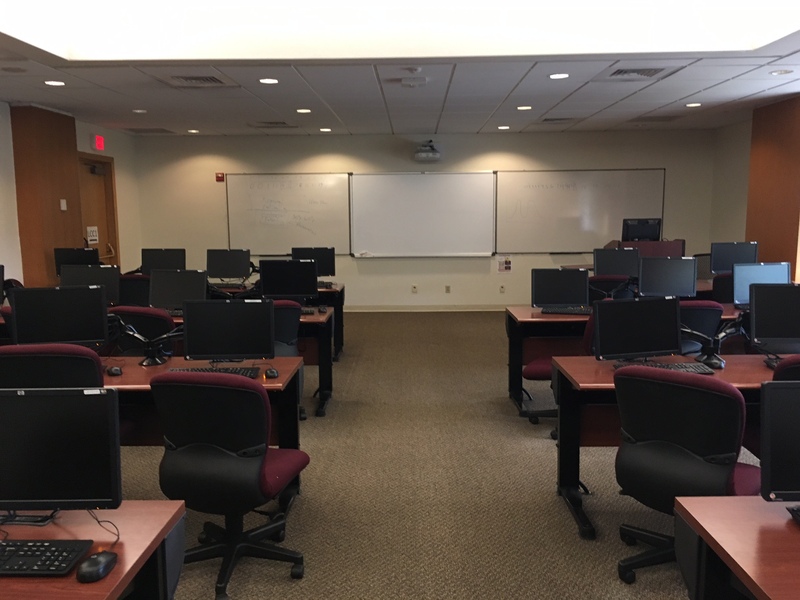 The 24/7 Lab is a computer lab which is open 24 hours a day, 7 days a week. It can be accessed via a door in the glass vestibule which can be opened using your student ID! 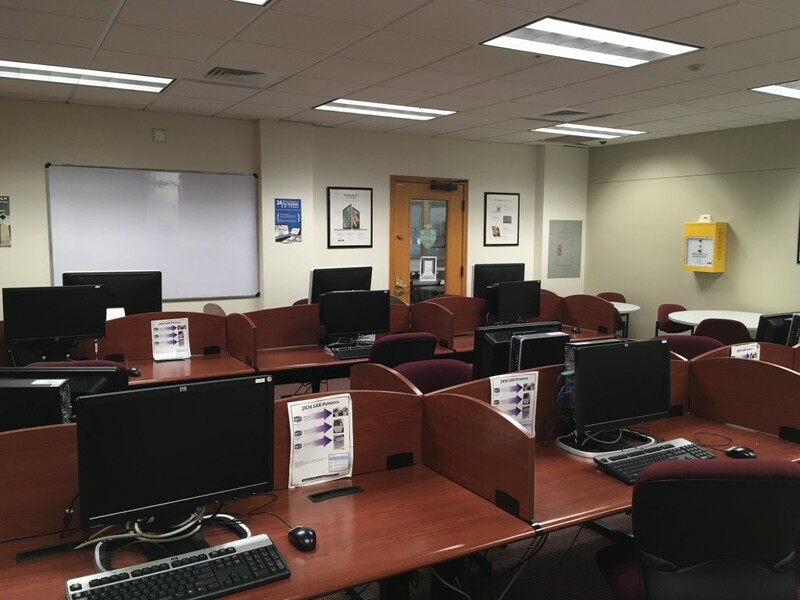 After the library closes at midnight (or at 7 PM on Fridays and Saturdays), the 24/7 Lab is extended from the one computer lab room to include Room 103, LCC1, and the large Library lab. 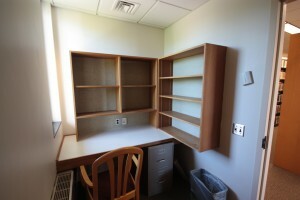 This provides a variety of open tables and computer access as well as group study and individual spaces. 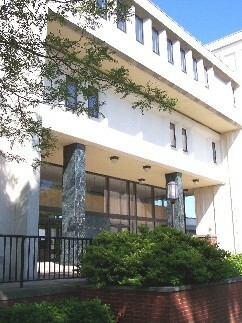 The nearest bathrooms to the 24/7 Lab are located in the Eddy Theater Lobby. For your comfort and convenience, the Eddy Theater Lobby will be open. 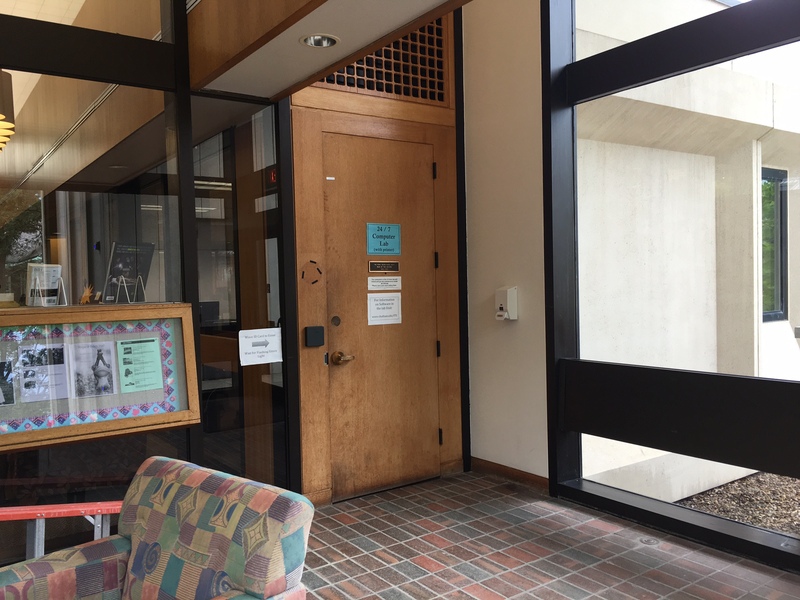 The Eddy doors nearest the Library will remain unlocked as well as the wheelchair accessible entrance on the other side of the building. We hope that the 24/7 Lab proves to be useful to you! Happy studying and be brilliant! Having trouble accessing your favorite database? As we work to update our links to these databases on the Library website, here’s a (relatively) easy way to access these databases. Soon enough, you’ll be able to search through your chosen database(s). Thank you for your patience, and best of luck with your research! In the fall, we asked you to tell us what the hardest part of research is for you. For many of you, it’s getting started (“knowing where to begin,” “starting it,” “the beginning”). If part of the difficulty is that you know very little about your topic, check out CredoReference. This great database contains encyclopedia, dictionary, and handbook articles on many topics. These should give you an overview of your topic and some ideas on how to break it down. You can find CredoReference in the Databases A-Z list on the library’s homepage. 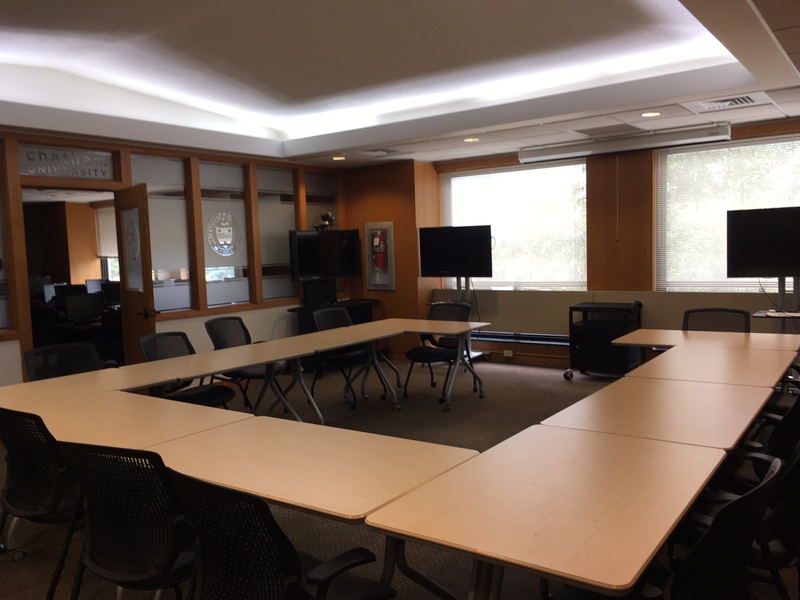 If you are easily distracted (for example, this person: “Continuing to stay interested when there are shiny objects and funny noises in the same room as you because suddenly tinkling glasses and butterflies and candy and”), consider one of the library’s individual study rooms. These locked rooms have desk space and outlets. They are a great place to hide away from many of life’s distractions and get some work done. Workshop Description: Need to find articles for a paper? Can’t remember how to use the library databases? This workshop offers an introduction to online database searching strategies to help you find the resources you need. Workshop Description: Not sure if you are selecting the best resources for your assignment? Attend this workshop to learn more about how to evaluate the resources you find – books, journals, websites, and everything else. Workshop Description: Working on research and have PDFs saved all over the place? Do you keep misplacing the articles you’ve found? There’s an easier way to keep track! Attend these workshops to learn more about Mendeley and/or Zotero, tools that you can use both to keep all your research in one location and to create citations. Unable to attend a library workshop or want individual assistance? Ask a librarian! It’s that time of year again…leaves are falling from the trees, the air is getting chilly, and you need to find full-text articles for an end-of-semester assignment. Not to worry! Getting journal articles through interlibrary loan is a pretty painless process, once you get used to it. First, make sure to check if the library has access to the article you are looking for in our print collection or through our online journal subscriptions. To do this, go to the library website and check the List of Print and Online Journals to see if we have access to the journal (or magazine or newspaper) that published the article in question. If we do have access to the journal that published the article you are looking for, make sure that we have access for the year the article was published – for instance, we sometimes don’t have access to articles published in the most recent 12 months. If we don’t have access to the article, the next step is easy: simply fill out an Interlibrary Loan Request for a Journal Article. Be sure to fill the form out as completely as possible, which will insure that the request will process quickly. 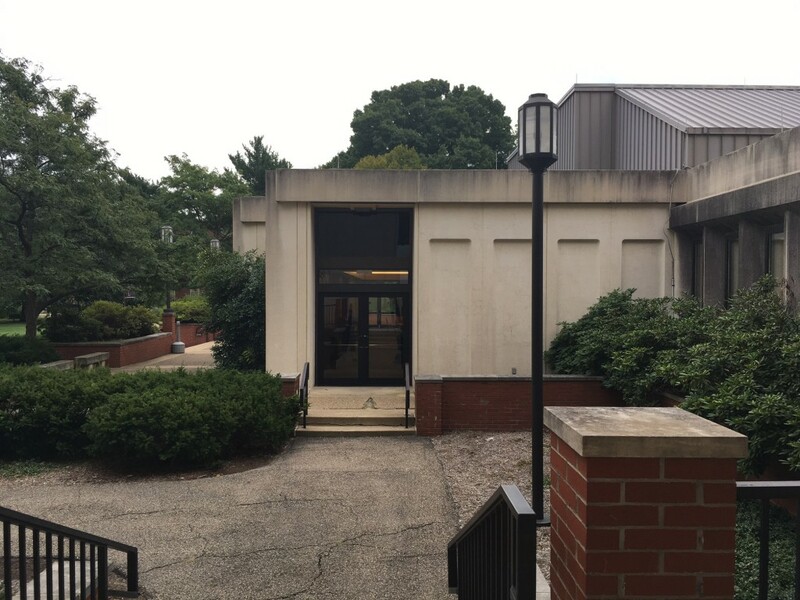 As always, check in with any of the Jennie King Mellon librarians if you have any questions about this process! Welcome to the JKM Library Blog! We hope you find the information useful!